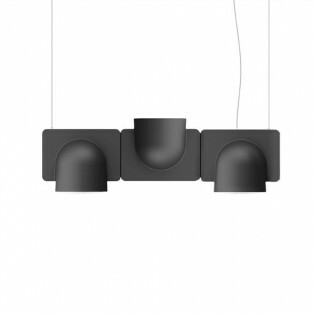 CHESHIRE is an elegant and contemporary pendant lamp. 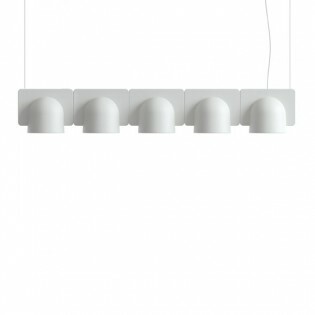 The curved diffuser gives it a Nordic touch, characterized by its simplicity and functionality. Available in white, black and green. Perfect for living room or bedroom lighting as well as for contract. Dimensions: Height: 34 cm. Ø 35 cm. IGLOO 1, a design lamp in the form of a module that resembles a puzzle. 10W warm LED light (1250 lm). Minimal consumption. Includes 2 steel hanging cables and transparent power cord. Available in two colours (broken white or dark grey). Perfect for commercial or residential spaces. Dimensions: Width 22 cm. lampshade height: 17.5 cm. 250 cm cable. 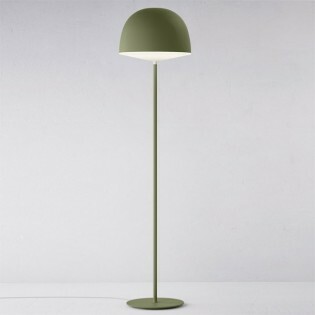 Ø 4.6 m.
CHESHIRE is an elegant and contemporary floor lamp. 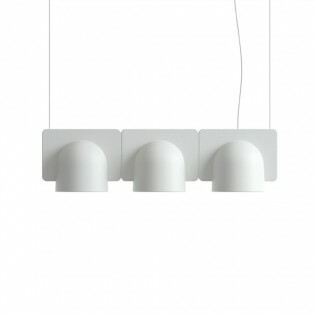 The curved diffuser gives it a Nordic touch, characterized by its simplicity and functionality. The light emission is diffused and directed downwards. Available in white, black and green. 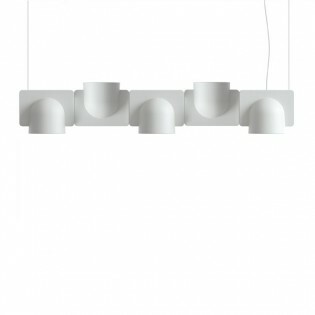 Perfect for living room or bedroom lighting as well as for contract. Dimensions: Height: 145 cm. Ø 35 cm. 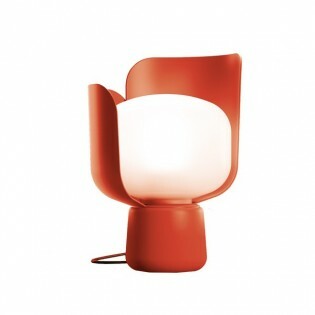 KOHO outdoor lamp. A portable and rechargeable led lamp, perfect for placing on the ground as ambient or signage light in gardens or terraces of farms, restaurants and hotels. Warm 3W LED light - environmental. Available in three colours: grey, yellow and blue. Dimensions: Height 28 cm. Diameter: 17 cm. 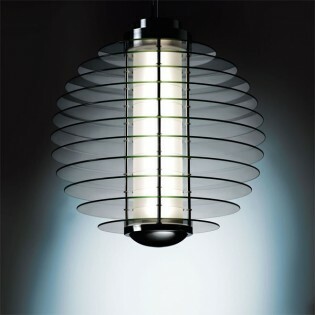 CHESHIRE is an elegant and contemporary lamp. 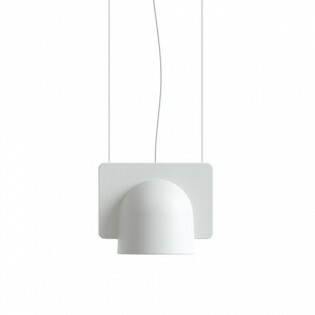 The curved diffuser gives it a Nordic touch, characterized by its simplicity and functionality. The light emission is diffused and directed downwards. Available in white, black and green. Perfect for living room or bedroom lighting as well as for contract. Dimensions: Height: 53 cm. Ø 35 cm. 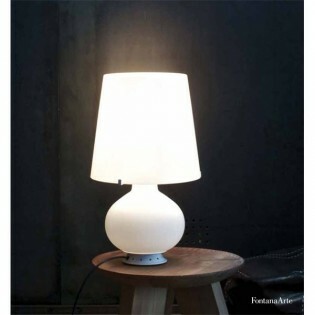 Blom designer lamps (pack 2 units). A very special lamp, with personality. 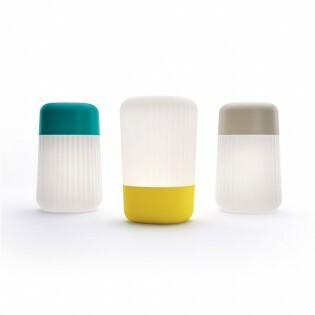 Perfect for illuminating bedrooms or living rooms of modern design. Dimmable diffuse light emission by moving the petals. Red Dot Design Award 2014. Available in 4 colours: red, grey, green and yellow. Dimensions: Height 24 cm. Width 15 cm. Design lamps MANO. 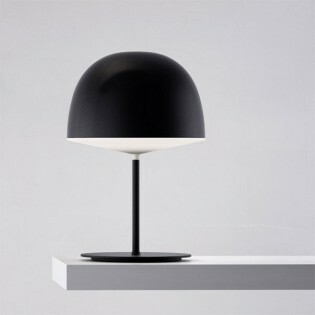 A lamp that looks like a sculpture formed by a hand made of powdered marble and white resin and a metal base with a square section (matt black colour). 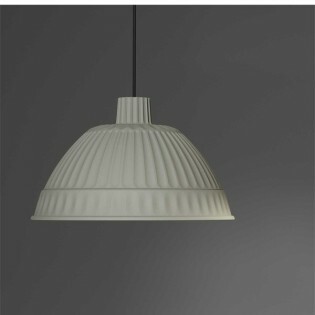 lampshade in black textile and white PVC inside. An exclusive and highly decorative lamp. Dimmable light. Dimensions: Height 70 cm. Diameter: 36 cm. 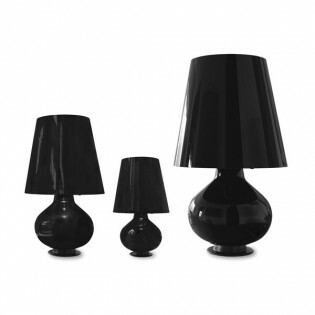 FONTANA total black (1853) is the special edition for the 60th anniversary of the design lamp Fontana.A timeless lamp, with double ignition (small and medium) and triple ignition (large). Made by master glaziers in black blown glass. Available in three sizes:- Small: Height: 34 cm. Ø 20 cm. - Medium: Height: 53 cm. Ø 32 cm. - Large: Height: 78 cm. Ø 47 cm. 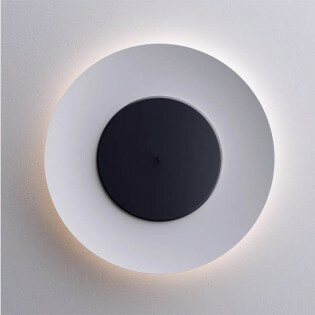 LUNAIRE Flush-Wall Light. 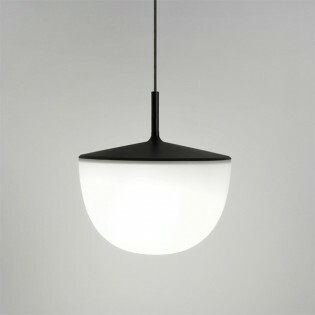 Luminaire with a very special circular design available in two colours: white or black. It has two positions of ignition: 1.- Illumination of the reflector disk on the inside. 2.- Illumination from the back of the reflector disc. Dimensions: Diameter 75 cm. Width 11 cm.